ASPADA Paribesh Unnayan Foundation is formerly known as Agroforestry seed Production And Development Association (ASPADA). This Organization was established in January, 1993. Founder and Executive Director of this organization is Md. Abdur Rashid, S/O of Alhaz Matior Rahman. It is a non-political social development voluntary organization. ASPADA believes that every human has some hidden qualities and this hidden qualities can be served through training. So, ASPADA established a modern training Academy at Digharkanda (Bypass road), Mymensingh to develop manpower by training. 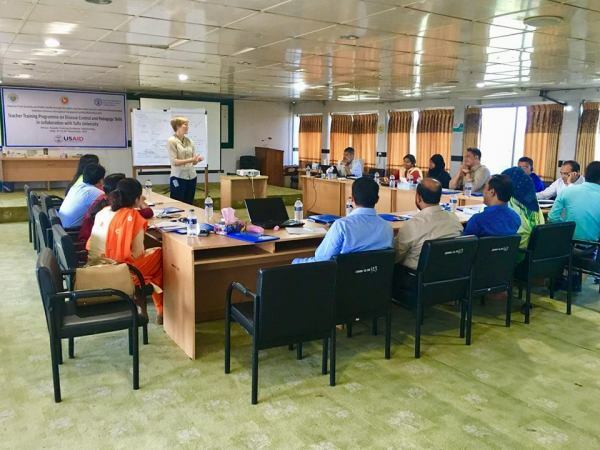 This training Academy is commercially used for ASPADA-own training, NGO training and other official meeting, seminar, symposium, workshop. We have enough experience on training program as a Training Facilitator beside of our organizational training. ASPADA Training Academy has working experience as a vendor of National NGO, international NGO and GO training. 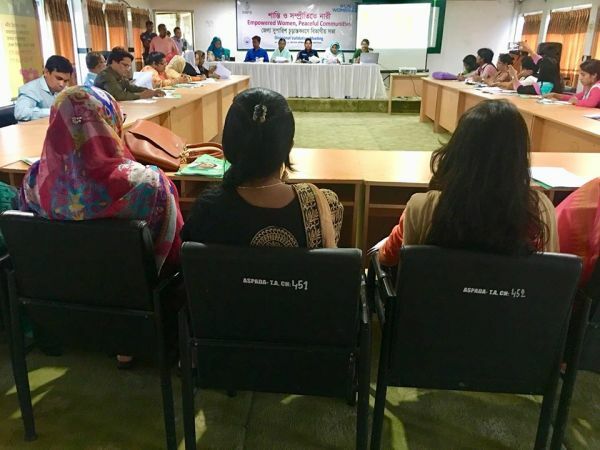 We are the also vendor as a training facilitators of CARE Bangladesh, World Vision Bangladesh, The Hunger project Bangladesh, Save the Children, GIZ, ADPC, World Vision Bangladesh, IFDC, HELBETAS, SDF, DAM, InM, PKSF, Winrock International, Water Aid, English in Action, etc. and also Bank,Company,Pharmaceuticles, National/Local NGO’s different training. A skilled management operates this training academy under better management. Training classroom, residence and dining are in one building. Various modern training materials are used here. Comfortable residence and better meal at a minimum cost. Enough chances for visit historical place on off-time. Good communication place from anywhere of Bangladesh. Large space for car parking with full securities. Lift and fire-extinguisher facilities are available in this Training Academy. Environmental hazard free natural and safe residence. All time observe under the CC camera for security. All Ac/ Non ac-General room with attached bath room. Every residential room with attached television. 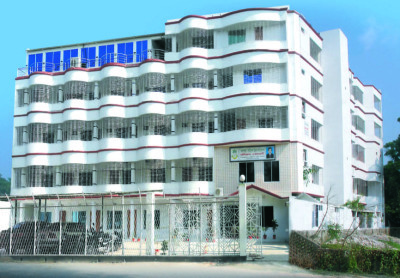 24 hours Security guard, Tea boy and Service Staffs facilities are in this Academy. Generator, water supply, Indoor-game, Pray-room, News paper reading etc. facilities fulfill. Separate residence facilities for women participants. Enough Space for group discussion. User can't damage wall, room or parts of Academy. Everybody should alert to use table, chair, training materials, plate, glass, jog etc. Everybody should abandon from depravity, air and sound pollution. Users should alert on any kinds of damage of training Academy building and its neighbor-building or others. Users should not use TV before 7 am and after 11.00 pm in receptions. Residences take their break-fast at 8.00am, lunch at 1.00-2.00 pm and Dinner at 8.00 pm to 9.00 pm. If anyone wants to leave the Training Academy after 10.00 pm. Financial Transaction should be closed before leaving the Training Academy. 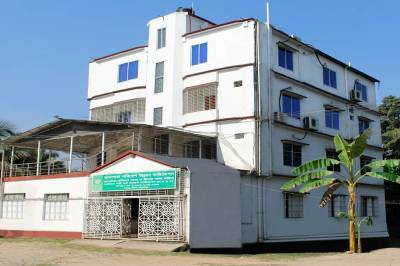 ASPADA Training Academy is half kilometer distance from Bangladesh Agricultural University. International botanical garden, Bangledesh Fisheries Research Institute(BFRI), Germplasm center, Dairy firm, Agriculture museum, Bangladesh Institute of nucleare agriculture(BINA), Bijoy 71 monoment, Ancient the Bhahma putra river are availble place for visit. Others visiting place are Joynal Abedin Park, Bipin Park, Zoynal Art Museum, Mymensingh Cantonment, Crocodile firm of Bhaluka, Land lords House, Nazrul museum, Garo Hill, Tepantor Picnic spot, Aladins Park, Jatia Kabi Kazi Nazrul Islam University etc. 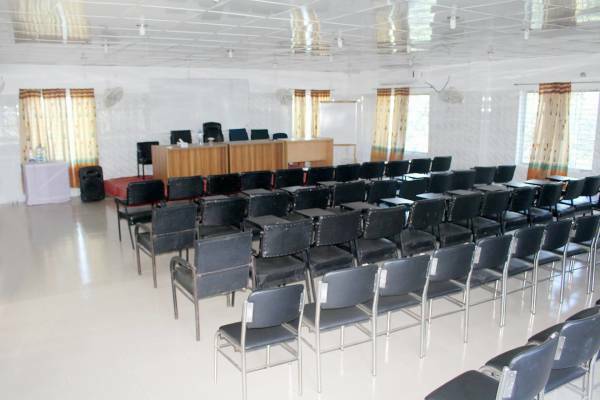 This training academy is well accommodation for nearest 110 persons. 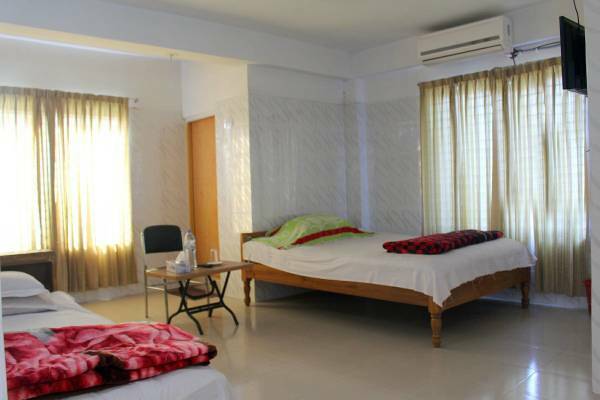 Total number of VIP Ac 2 Bede room 10, VIP Ac 2 Bede room 10, Ac 2 bed room 6, Cpuple Ac room 6, Non-Ac copule room 4, Non-Ac 3 Bed rooms, Non-Ac 4 Bed room 4, every room has big corridor, attached toilet and attached bath room. It has also separated accommodation for women participants. All rooms has television facilities. Expert sheaf makes any kinds of indigenous and foreign foods, fast food, all kinds of snacks items. One big dining room where 130 persons take their meals at a time. Expert Service–staffs are in this training academy. Pure water, fresh vegetables and fruits are available in this training academy. * 24 hours Security guard, Tea boy and Service Staffs facilities are in this Academy. * All time generator facilities, water supply, Pray-room, Newspaper capacity fulfill. * Separate residence facilities for women participants. * All of training venue with Ac facilities. * Enough Space for group discussion. * Multimedia facilities by extra charge. * 120 persons dining capacities. Every training venue, Meeting room, Conference room are well decorated and all are air-conditioned with net & clean environment. Enough toilet room and group discussion space are available. 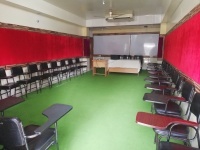 All kinds of training facilities (multi-media, projector, Laptop, computer, hand micro-phone, photo-copier, white-board, VIPs-card, flip-chart, marker, Duster, pointer-torch, pointer-stick etc) are also available here. 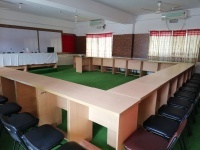 This Training Academy is well accommodation for 30 persons. It has well separated accommodation for female. Every room has attested bath and toilet. 2 AC Room. Expert cooker makes all kinds of indigenous and Chinese foods. 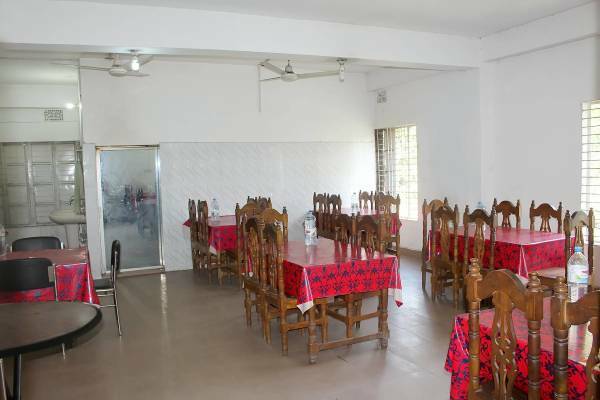 A large Dining-room where 30 Persons take their meals at a time. Pure water, fresh vegetables and Fruits are available here. * 50 persons dining capacities.